An engaging collection of some rarely spot lit arias from Giulio Cesare, Sapho, La Favorite, Le Prophete, The Maid of Orleans, Samson et Dalila, La Gioconda, Mignon, I Capuleti e I Montecchi and Carmen. 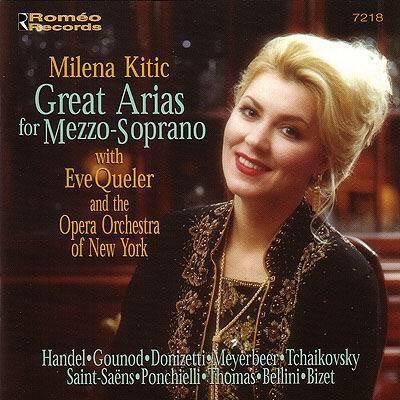 Milena Kitic has won awards and accolades for her singing in Germany and England. Eve Queler and the New Yorkers provide superb support.